The bigger guys are playing with smaller blocks (as in engine blocks), when it comes to the luxury marques these days. Once dominant V-8 engines some years back were cut to three-quarter size in favor of peppy V-6s with slight increases in fuel savings. Today, those 6-bangers are giving way to 4-cylinder turbocharged power. It’s all in the name of the higher fuel mileage and, at the same time, packing enough power to get up over the hills. 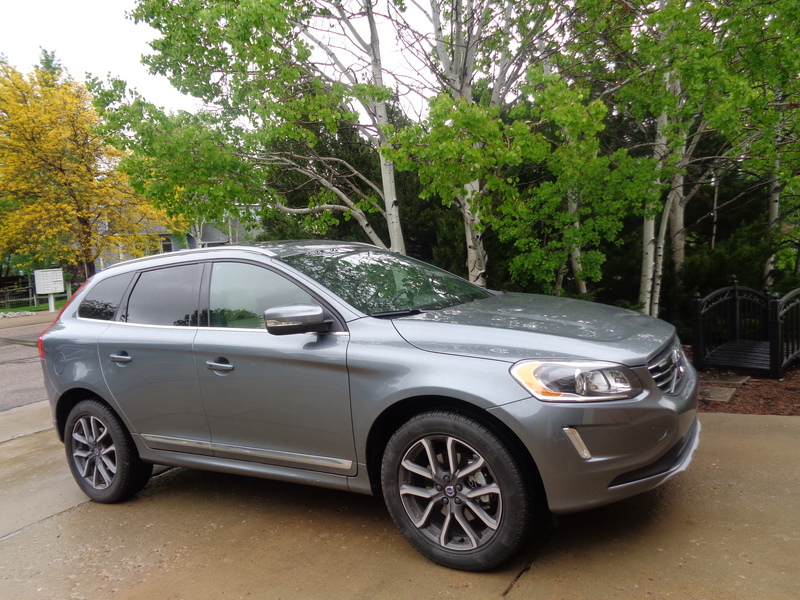 I got behind the wheel of the movement recently with the 2016 Volvo XC60 crossover. The 4,000-pound Volvo has scrapped its naturally aspirated 3.2-liter 6-cylinder in favor of a 2.0-liter, 4-cylinder power package that is not only turbocharged, but also supercharged. Since there is no hesitation with a belt-driven supercharger, it is designed for takeoff boost in the Volvo, and the exhaust-driven turbo is for higher-end torque. Luxury compact entry cars, such as the Audi A3, BMW 2 series and Mercedes-Benz CLA showed up in recent years with 4-cylinder power; bigger models since then have begun to test reception for the turboed 4s. BMW has installed in its base 320i sedan a twin-power turboed 2.0-liter 4-cylinder that produces 180 horsepower and in its 328i is a turbo 4 that puts out 240 horses. A 2.4-liter turbo is the choice of Buick for its Verano and a 2.0-liter turbo is the standard for the Cadillac ATS. So, the Volvo isn’t breaking new ground, it’s joining a trend. Volvo’s “floating center stack” has prevailed over the years. 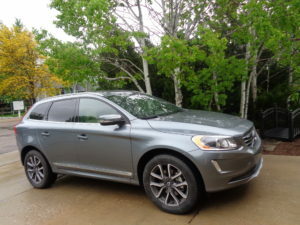 From the Volvo crest on the grille out front of the sloping hood to the high-riding rear portion of the SUV crossover, the XC60’s presence appears larger than its 182-inch overall length. It looks like lots of size for 4-cylinder power. Yet, its supercharged/turbocharged engine, which develops 302 horsepower and 295 lb.-ft. of torque, handles the XC very satisfactorily. It is mated to an 8-speed automatic transmission, capable of spirited performance. My overall fuel-mileage average of 23.5 was near the middle of its EPA estimate of 19/27. 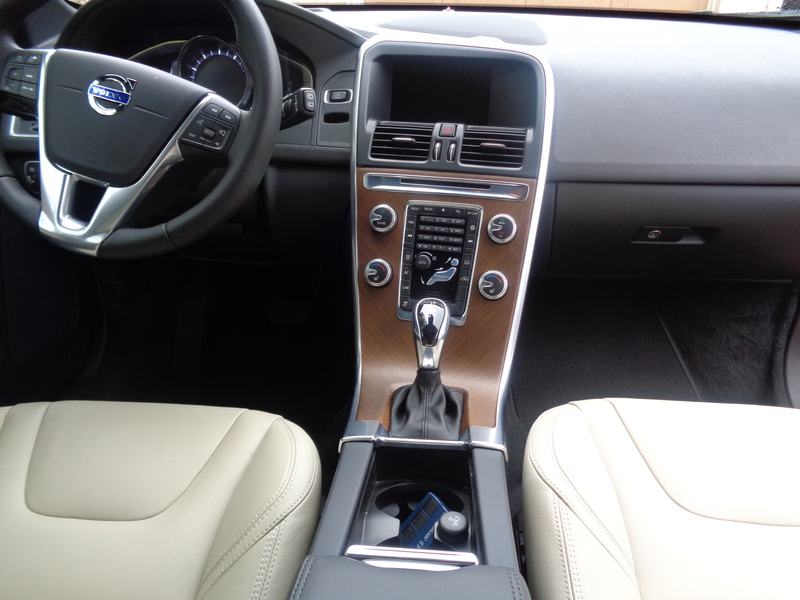 Don’t try to make sense of Volvo’s naming of the 4-cylinder crossover; it is the XC60 T6 AWD Drive-E.
Well-bolstered seatbacks of soft leather add to the comfort of driving the XC60. Volvo initiated the floating center stack in its interior more than 15 years ago; it is still the best-looking and most practical of all those which have followed. Tilted toward the driver, the stack is topped by HVAC controls and a small screen for navigation/audio. The five-passenger Volvo has large cargo space at the rear where, beneath the cargo floor and atop the spare tire and jack, is a white cloth for use as a cover in case of a punctured tire being stowed back there. The Volvo’s base price of $43,350 climbs to sticker of $52,505 with the addition of pedestrian/cyclist detection with full auto brake, lane-departure warning, active cruise control, Harman Kardon premium sound system, power tailgate, active dual xenon headlights with washers, power retractable outside mirrors, dual two-stage child booster seats, heated front seats/steering wheel/windshield. The Volvo recommends use of premium fuel for its empowered engine.